You’ve heard it thousands of times over the years: smoking is bad for your health. But a recent study found that cigarettes have an interesting impact when it comes to the risk of gout. High serum urate levels may indicate gout, and past research has shown that cigarette smoke lowers those levels. The relationship between smoking and the risk of gout has not been studied until now. Interestingly enough, however, the correlation is only apparent in men. In-person interviews were conducted with 53,213 Chinese men, ages 45 to 74, from 1993 to 1998. They also had either one follow-up interview (1999 to 2004) or two follow-up interviews (2006 to 2010). 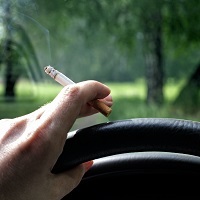 The data, consisting of smoking habits and other lifestyle factors, was assessed using Cox proportional hazards models. A total of 2,244 patients were diagnosed with gout during the average 11-year follow-up. Smokers had a 27% lower risk of developing gout when compared to men who were never smokers, according to the results in Arthritis Care & Research. However, there was no evidence indicating the same link in women. Notably, the gout risk was lower in lean smokers when compared to overweight smokers. “This inverse association with smoking was rapidly attenuated to become null even in former smokers who had recently quit smoking,” the authors specified. A related study showed that current smokers had significantly lower serum urate levels than former or never smokers. But again, this was only apparent in men and not women. Do these findings suggest that men should run to the nearest store and pick up a pack of cigarettes? No, but the research sheds light on the pathology of this specific arthritis.